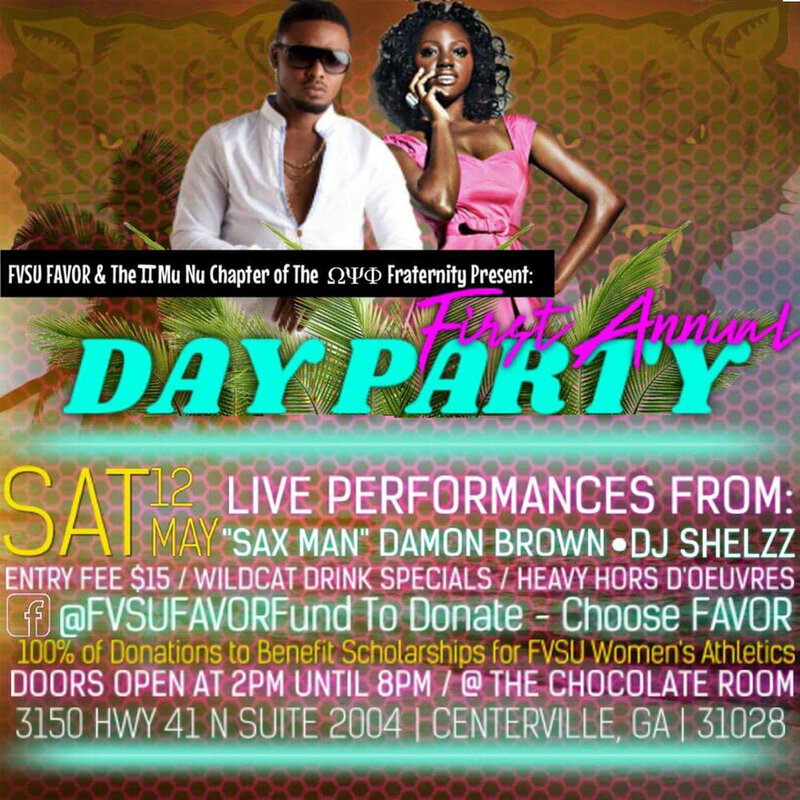 The FVSU FAVOR & The Mu Nu Chapter of the Omega Psi Phi Fraternity, Inc. presents its First Annual Day Party on Saturday, May 12, 2018 at 2PM until 8PM at the Chocolate Room, 3150 Highway 41 N Suite 2004, Centerville, GA. There will be live performances from "Sax Man" Damon Brown & DJ Shells. The entry fee is $15. There will be Wildcat Drink Specials & heavy hors d'oeuvres. 100% of the proceeds from this event will benefit scholarships for FVSU Women's Athletics. If you are unable to attend, please, donate online through Facebook @FVSUFAVORFund or by clicking on the button below to the university website. Select "FAVOR" in the drop down menu for "Fund". If you wish to write a check, make it payable to FVSU Foundation with a note to FAVOR Fund. Mail to FVSU Foundation, Inc, 1005 State University Drive, Fort Valley, GA 31030. We ask that you support our Lady Wildcats as they continue the winning legacy and academic achievements.